The most experienced ecommerce retailers understand that relationships with customers don’t end once they’ve purchased a product, or once their purchase has left the fulfillment center, or even once it’s arrived on their doorstep. Instead, earning customers’ loyalty and generating reliable business during the age of ecommerce requires a comprehensive understanding of how shipping and fulfillment work — and that covers everything from careful packaging to quality customer service during the returns process. After all, 76% of consumers believe that customer service is the best indicator of how much a company values them. 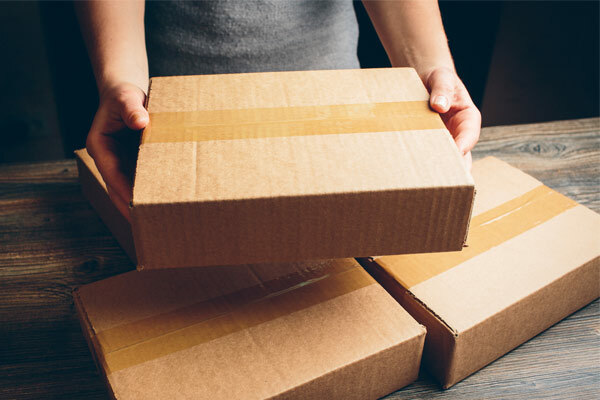 We know how difficult it can be to get your online store up and running smoothly, so Paper Mart has put together a handy guide to the ins and outs of shipping and fulfillment for ecommerce retailers. Whether you’re new to the game or an old pro who wants to brush up on fundamentals, we’re here to help. Understandably, online retailers may be compelled to focus all of their attention on providing quality products to their customers — but leaving packaging as an afterthought just won’t cut it. When bundling up your items and dropping them at the post office, make sure they’re protected by appropriately sized boxes that can handle the rough and tumble of modern shipping. Whether you’re shipping clothing, cosmetics, or fragile ceramics, use boxes that give your products enough room for added packaging without so much extra space that they shift during transit. Whether your products are extremely delicate or solid as bricks, it’s always a good idea to include cushioning inside your packaging; customers will appreciate the extra care you took to keep their purchases in mint condition. The right cushioning material, however, will depend on your product. You may opt for bubble wrap when packaging a particularly fragile product, or foam peanuts for a more durable shipment. Thriving online brands aren’t happy accidents; they’re the result of careful planning, attention to detail, and effective marketing. If you’re looking to boost your brand recognition, customized packaging is an absolute essential. Not only do branded boxes, bags, and labels show your customers that you mean business, they also leave a lasting impression on consumers — which makes them more likely to come back for repeat purchases. The shipping options you offer customers will depend on your specific business model. For businesses that bake shipping costs into their product pricing, free shipping may be possible. For businesses that keep item pricing low, however, flat-rate shipping and real-time carrier rates are often the most cost-effective option for everyone involved. With flat-rate shipping, customers pay the same cost for any item, regardless of weight or dimensions. This benefits all parties since it protects you from undercharging your customers and protects customers from being overcharged. When adhering to real-time carrier rates, you work with shipping providers in order to let customers know what the most accurate, current pricing is to ship their purchases. This option puts decision-making power back into your customer’s hands, letting them pay for exactly the service they’d like. While ecommerce shipping and fulfillment are becoming more streamlined every year, there’s still plenty of room for error. Packages might be damaged during shipment, delivered to the wrong address, or stolen once they’re left on a customer’s doorstep — all through no fault of your own. Because of this, it’s key to obtain insurance from shipping providers in the event that your package doesn’t make it to its final destination. This way, you and your customers have recourse if a purchase doesn’t arrive in the expected condition — or at all. Additionally, you’ll want to work with shipping providers to make sure that your products are compliant with international regulations. For some small businesses, it may be difficult to ship certain foods, plants, or animal products across borders. It’s up to you as the retailer to know these rules if you decide to operate internationally. Luckily, small packages usually aren’t held in customs unless forms are incorrectly filled out or damaged — but it’s essential that you do everything you can to keep them legible. Fulfillment warehouses are a popular expenditure for ecommerce retailers — and with good reason; by working with shipping and logistics partners, you can develop strategic relationships that can help your small business grow in the fast-paced ecommerce space, even if you don’t have the professional experience yourself. With a fulfillment partner, whether that’s Amazon or a third-party logistics provider of your choosing, you can maintain your inventory in their facilities and outsource much of the picking, packing, and shipment of orders, in addition to returns processing. By streamlining operations in this way, you can cut down on shipping costs and pass the savings on to your customers. That said, fulfillment partnerships aren’t always cheap — so be sure that your business has a high enough volume of sales to account for the expenditure.